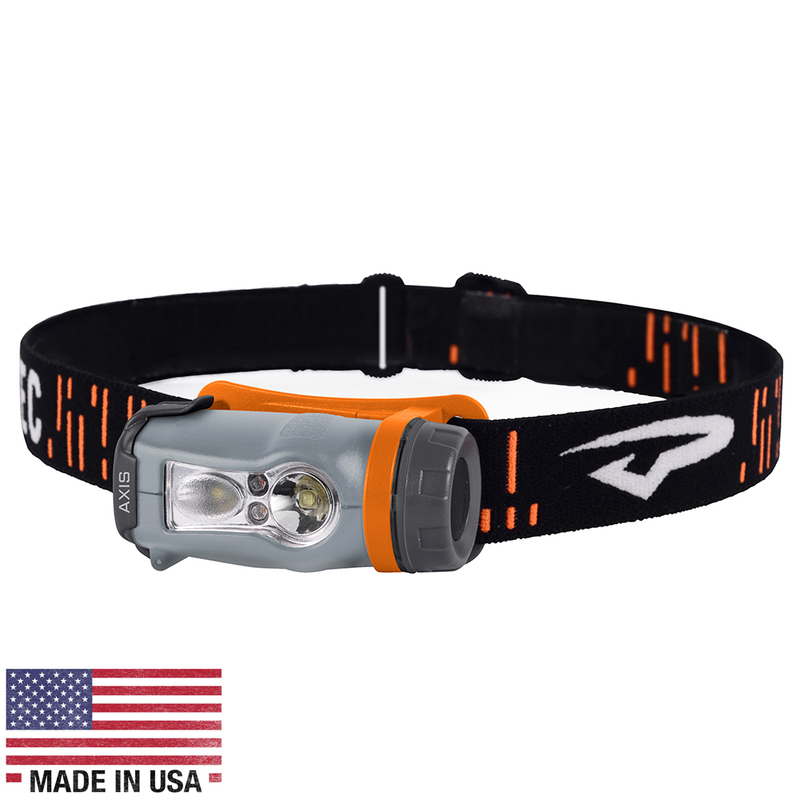 The Axis headlamp is designed and built on the premise that the best gear in your bag is the gear that you don't really think about, yet you come to rely upon. Axis is made in Princeton Tec's NJ factory, and it packs all the functionality you could even need in a headlamp - spot, flood and red modes - all dimmable. Masters of clever user interface design, Princeton Tec created a light that always allows easy access to any mode and features complete dimmability on every beam. Begin with the smooth flood beam for up close work, and then simply twist the dial when a long-reaching spot beam is needed. Alternatively, get direct access to the powerful spot beam, or use red mode to preserve night adjusted vision and campsite tranquility. Three AAA batteries provide a long-lasting and easy to replace power source.